The concept of a loan is very simple: you agree with a lender to borrow a certain amount of money from them, and then pay it back (plus interest) over an agreed period of time. There are many different types of loan available, as well as other credit sources, so it’s important you know how to shop around thoroughly to save yourself money. Personal loans (also known as unsecured loans) are the most typical choice of loan. The money you receive is not secured against any property or asset, and typical rates are between 6 and 13 per cent. Secured loans are when you borrow money and it is secured against an asset, which the lender would receive if you defaulted on your payments. Most of the time, this asset is your home, and this is generally what happens when people take out a mortgage. Secured loans tend to be for more than £15,000 and repaid over a period of five to 25 years, and have lower rates than unsecured loans. Before choosing any financial product, you should have conducted plenty of research to ensure you aren’t getting a bad deal or putting yourself at risk of financial problems. You don’t want to be caught out by unexpected upfront fees, for example, or face early redemption charges for repaying the debt early. The amount of money that can be borrowed varies depending on each individual and their circumstances. If you have any existing debt, this can affect how much you can borrow. The same is true for overdrafts and credit cards. Even if you aren’t using these currently, you may be able to at some point, which is something the lender will take into account. They do not want you to end up with unaffordable debt. Generally, lenders will not agree to a personal loan above £25,000, unless the debt is secured against something such as your house, to protect their investment. 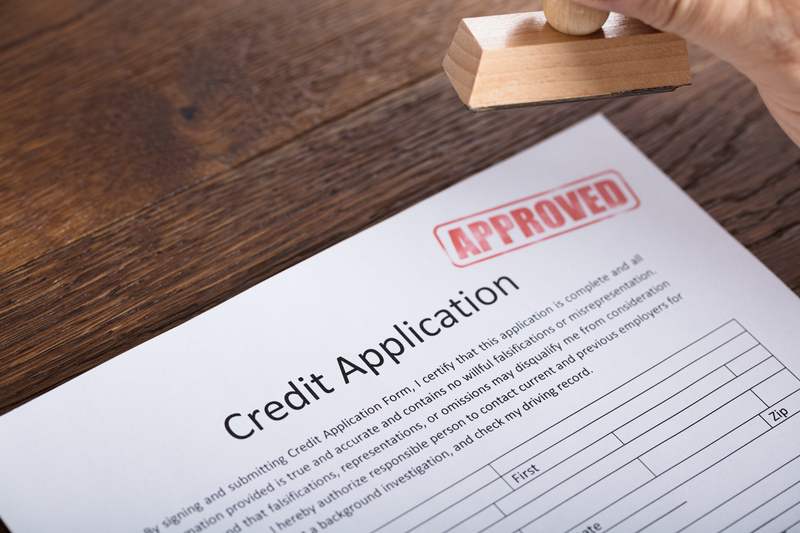 Lenders need to take a look at your credit history before they agree to give you a loan. They will look at a range of things such as whether you have a history of being a reliable customer, whether you have ever defaulted on a debt, and current credit agreements. Unfortunately it can actually be very difficult to secure a loan if you have never had any debt, because it means there’s no proof that you will be a good customer, and so you may need to improve your credit score first. Credit bureaus and agencies can provide you with a credit report, which helps to give an insight into how attractive you are to lenders. How long should the loan last? As long as you provide the correct information to lenders, have a good credit score and only apply to products that you qualify for, then you should receive an appropriate loan based on your circumstances. It can be tempting to extend the term of a loan by a year or two to reduce the monthly repayments though, as it essentially means less outgoings for you each month. However, before doing this you should investigate how much overall interest you will end up paying. The additional interest may result in you paying thousands of pounds more in total, so if you’re confident that you can afford the original monthly amounts you may want to avoid extending the term. APR stands for Annual Percentage Rate, and is the annual rate which you are charged for borrowing money. Lenders are required to include automatic fees and interest in their APR figure, giving customers a clear indication of how much they will pay a year. In order to attract customers, lenders advertise their headline APRs, which must be offered to at least 51 per cent of successful applicants. Depending on your income, outgoings and credit score, you may or may not qualify for the headline rate. If you do not qualify, the lender may either reject you outright, or offer you a higher APR. Larger loans tend to have lower APRs than smaller loans. This means it can work out cheaper overall to take out a loan of £8,000 rather than £7,500, for example, but of course you should research this thoroughly beforehand. If you experience issues repaying your loan then you could run into some serious financial problems. Therefore, it is essential that you have plans in place in case this should happen to you, such as an emergency fund or a guarantor. It’s also worth considering income protection insurance when taking on debt, which aims to help you meet your repayments if you cannot work due to an accident, illness or unemployment. Talk to your lender if you ever find yourself struggling to meet repayments, because they would rather you didn’t default on the debt and are likely to try and help you. In some instances it is possible to have a ‘payment holiday’, where repayments can be put off for a couple of months. However, this generally results in you having to pay more interest in the long run due to the loan lasting longer, so you should research this thoroughly beforehand. Making a formal application for a loan leaves a footprint on your credit history, regardless of whether you end up borrowing the money or not, which can damage your credit score. While it can be tempting to make multiple loan applications to find out what rate each lender may decide to offer you, it is therefore not recommended. Making numerous applications may make lenders wary, as they can see you have made multiple requests for credit. This can result in you being refused credit or having to pay a higher rate, so you need to be careful. You may find better ways to borrow money instead of taking out a loan, especially if you only need a small amount. Putting money aside into a savings account can prevent the need to take out a loan – provided that you have enough money saved – as you can use these funds instead. While you may lose out earning money from interest on the savings, this is a small amount compared to the interest charged on loans. Credit cards may also be worth considering, if you just need short-term credit and are absolutely certain you can repay it within a couple of months. Some credit cards even offer 0 per cent APR, which means you could potentially borrow money for free, provided you make your repayments on time. You may want to look into credit unions instead of traditional lenders, particularly if you have a poor credit rating. An arranged overdraft on your current account can work out cheaper than a loan, but generally this alternative is only used when borrowing a small amount. Another bonus is that the repayment schedule can be more flexible. However, you should talk to your bank beforehand to check the charges involved, especially because of how costly unauthorised overdrafts can be. Payday loans and other similar options can lead to significant financial difficulties, so it is probably best to steer clear of these and check out the alternatives.